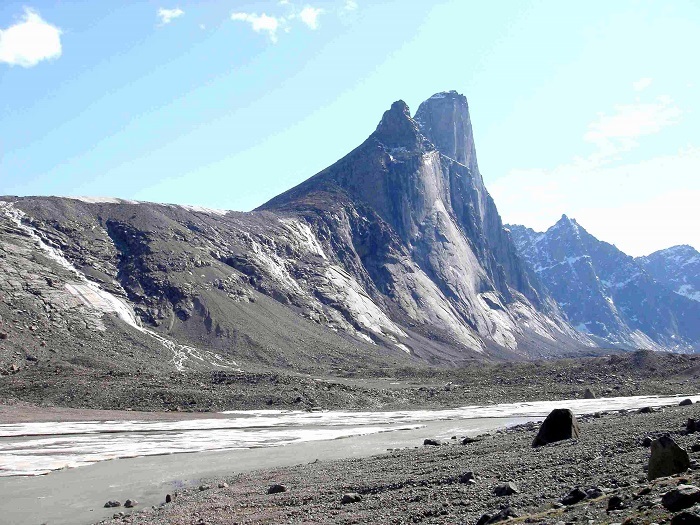 Mount Thor, officially called the Thor Peak, in Auyuittuq National Park, on Baffin Island, Nunavut, Canada, is a granite peak that features the world’s tallest purely vertical drop. 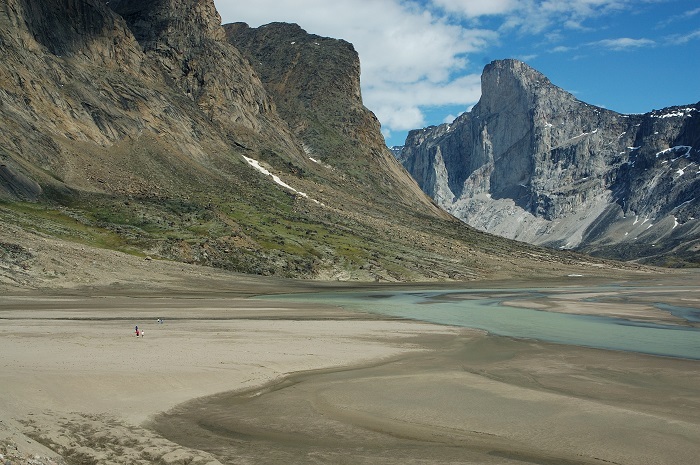 The mountain is located 46 km (29 mi) northeast of Pangnirtung. The drop measures 1250m and angles inwards at 105 degrees making it more of an overhang. To put the height in context, the Eiffel Tower is 324m, the Empire State Building is 381m, the CN Tower is 553m, and the Burj Khalifa 828m. 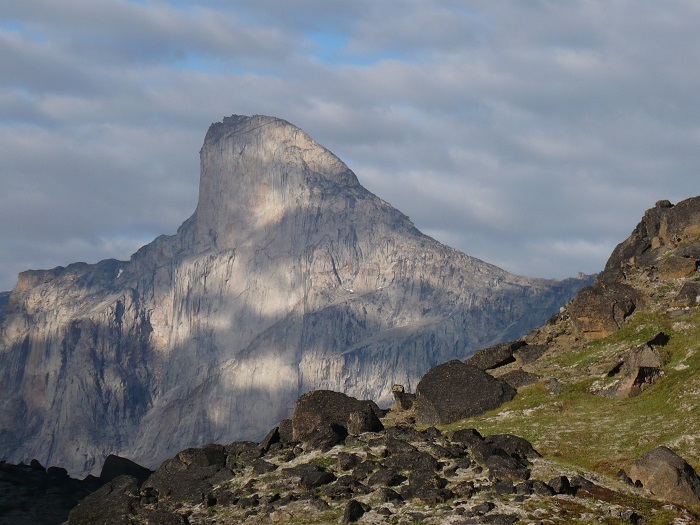 Despite its remoteness, this feature makes the mountain a popular rock climbing site. 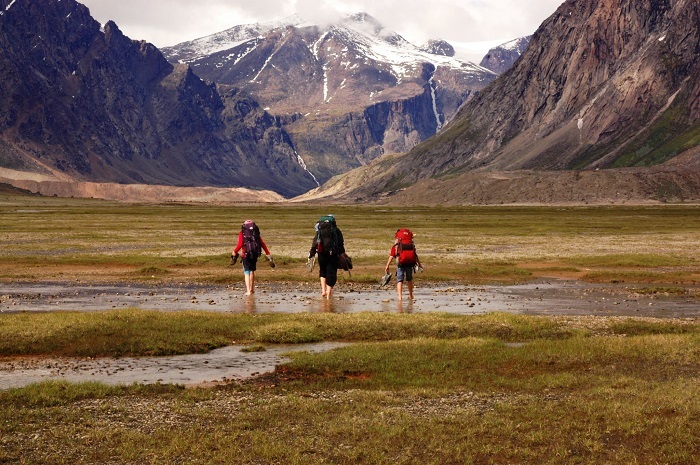 Camping is allowed, with the only official site being at the entrance to the Akshayuk Valley near Overlord Peak. 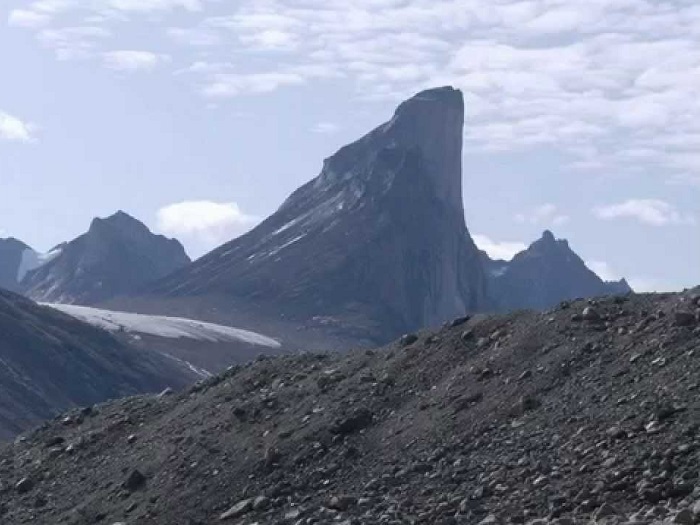 The mountain was named for Thor, the Norse thunder god. 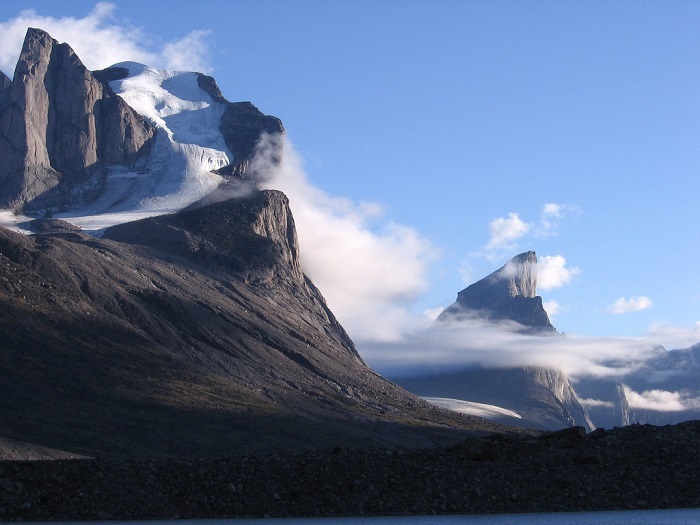 Mount Thor was first climbed in 1965 (Donald Morton and Lyman Spitzer made the first ascent) during the Alpine Club of Canada by an expedition led by Pat Baird. 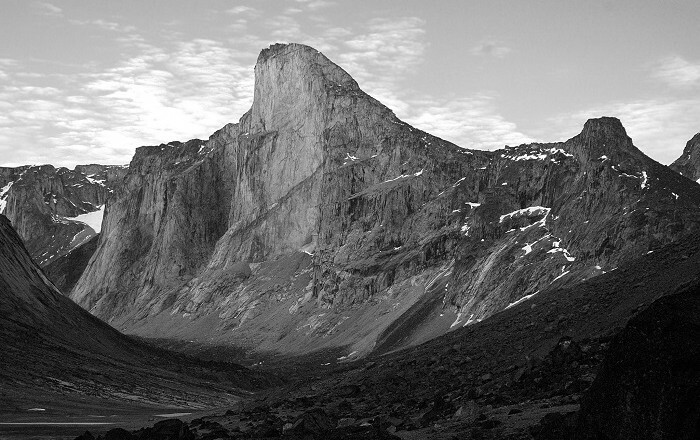 In July 2006, the first successful longest rappel was set on Mount Thor by an American team. 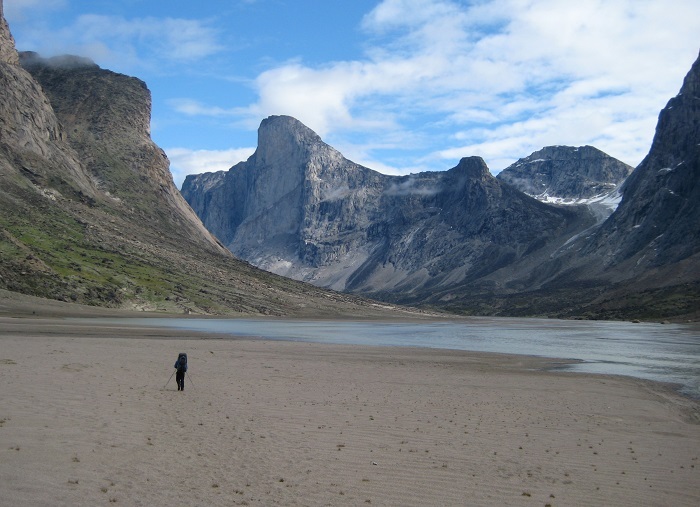 Pat Baird also led the 1953 geophysical expedition during which Hans Weber, J. Rothlisberger and F. Schwarzenbach climbed the North Tower of Mount Asgard for the first time. 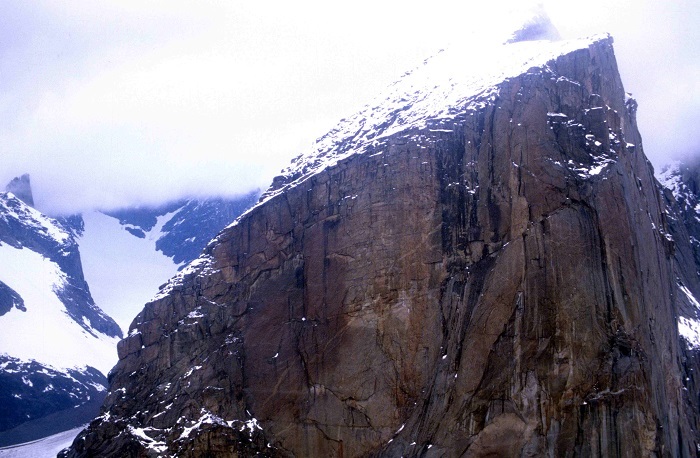 The first ascent of the west face was achieved by Earl Redfern, John Bagley, Eric Brand and Tom Bepler in 1985. The first solo ascent of the West Face was completed by Jason ‘Singer’ Smith in 1998. The first free climb of the Southwest Buttress was made in 2012 by Bill Borger and John Furneaux. 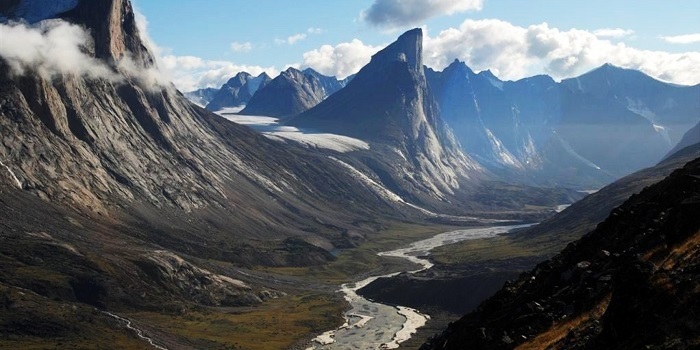 Nowadays, even though Mount Thor is in a very remote area filled with dangers, it is one of the most picturesque Canadian places a person can dream of visiting.